Nearly a half-dozen NBA players are reportedly on hand at Staples Center, home of the Lakers and Clippers, for Wednesday’s celebration of life memorial service for late rapper and L.A. native Nipsey Hussle. Delayed by nearly an hour thanks to lines from a sold-out crowd, the service features programs with personal letters from the Lakers’ LeBron James and Houston Rockets‘ James Harden, who’s publicly paid trubute to the slain Grammy-nominated artist as a “leader.” According to TMZ, the San Antonio Spurs‘ DeMar DeRozan and Oklahoma City Thunder’s Russell Westbrook are among guests at the service. The Indiana Pacers‘ Isaiah Thomas is also said to be at Staples Center for the event. 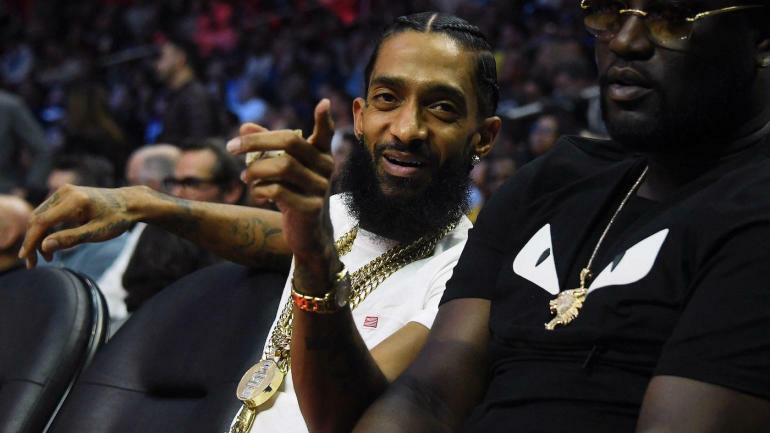 Like Harden, many other NBA players have recognized Nipsey Hussle since the influential 33-year-old rapper and activist was shot and killed on March 31 outside of his clothing store in South Los Angeles. Westbrook dedicated a 20-20-20 performance against the Lakers earlier this month to Hussle, who joined a gang as a teenager but had recently been working with the Los Angeles Police Department to prevent gang violence. Wednesday’s service will be followed by a 25.5-mile funeral procession, per CBS News, traveling from Staples Center through South Central Los Angeles neighborhoods.